The beauty of this run - on the road two-and-a-half days and home for the rest of the week - seems to be all the time we get to spend with my brother in his shop. He's been working on his new venture, Carpenter Avenue Classics, and we've been getting things ready for the eventual product launch. 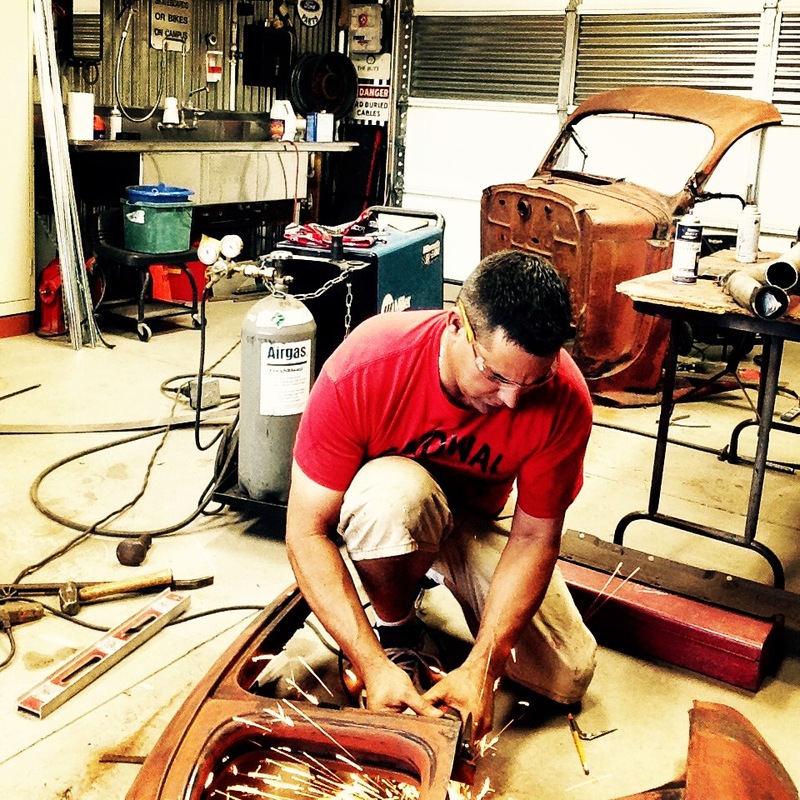 Here you'll see him working on a 1936 Dodge Coupe. We don't know what it'll be yet, but if you follow him on Instagram, you may be lucky enough to see it transform before your very eyes!